This is an very robust knife with a nice roomy sheet that makes it possible to carry the knife in many different ways. This knife is designed by Jeff Randall and Randall’s Adventure and Training (RAT) in cooperation with Ontario Knife Company (OKC). 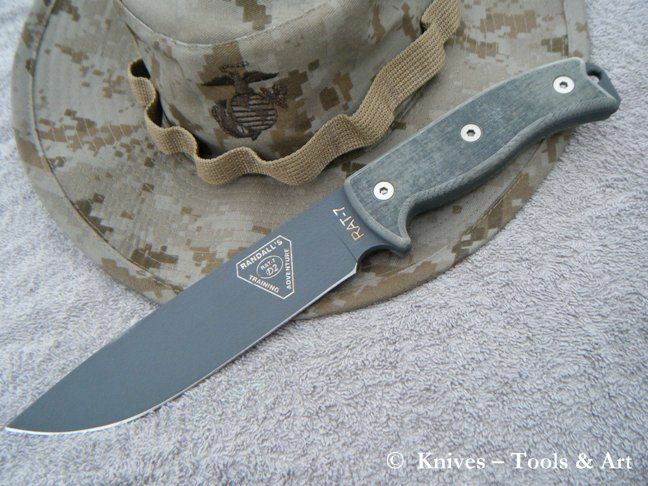 That collaboration ended in 2007 and today Ontario offer a similar knife in the RAT-7, and the company ESEE Knives offer a similar knife with their model ESEE-6 from the nice knife line ESEE. I got this knife at Miller's Surplus during my time in the states back in 2008. I've been carrying this piece for long periods in rough conditions often under water and surprisingly the carbon steel has been very corrosion resistant. This knife followed me for example during my adventure at Haigler Creek. 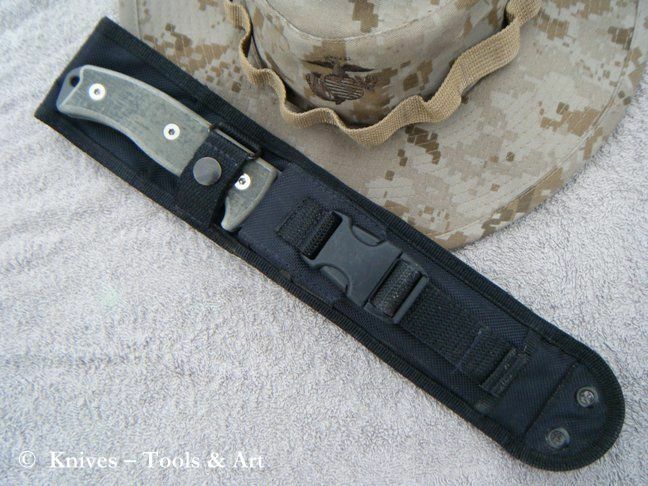 The canvas micarta handle provides a secure grip even when wet and the blade has really hold up good. This knife have now been trough some inspiring dirt time and a beautiful patina has appeared.